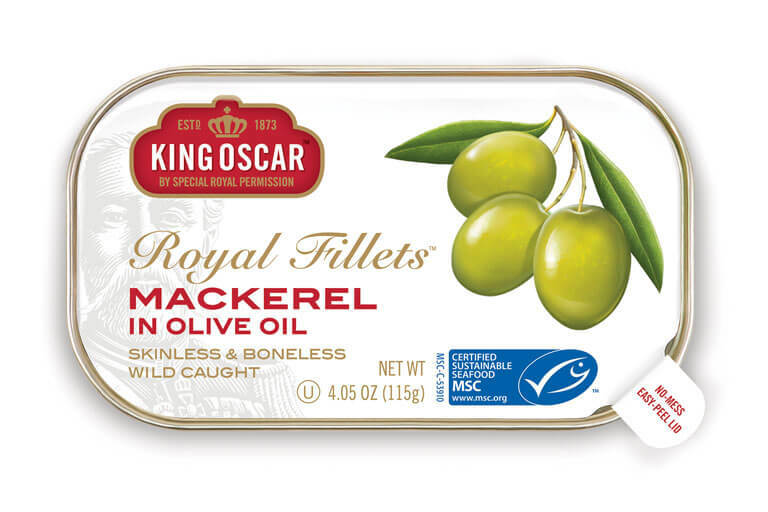 Try Royal Fillets of Mackerel in Olive Oil! Treat yourself to gourmet quality skinless and boneless North Atlantic mackerel in pure, buttery olive oil. Extraordinary, light taste and moist texture – truly unique. Only three ingredients. The perfect tuna substitute. MSC-certified sustainable, wild-caught, non-GMO, gluten-free, kosher-certified, hand-packed. Delicious in “tuna-style” sandwiches, salads, pasta or casserole dishes, fish burgers, or right out of the can on a cracker! Skinless and boneless North Atlantic mackerel, olive oil, salt. 4.05oz (115g) no-mess, easy-peel, recyclable aluminum cans – BPA-NI certified. Contains 3500mg Omega-3 fatty acids per serving. All quantities are average values. The % Daily Value (DV) tells you how much a nutrient in a serving of food contributes to a daily diet. 2,000 calories a day is used for general nutrition advice. See best before date printed on bottom of can. Once the product has been opened, it can be stored refrigerated in an air-tight container for up to two days. Northeast Atlantic Ocean between Norway and the Faroe Islands. Mid-water trawling. 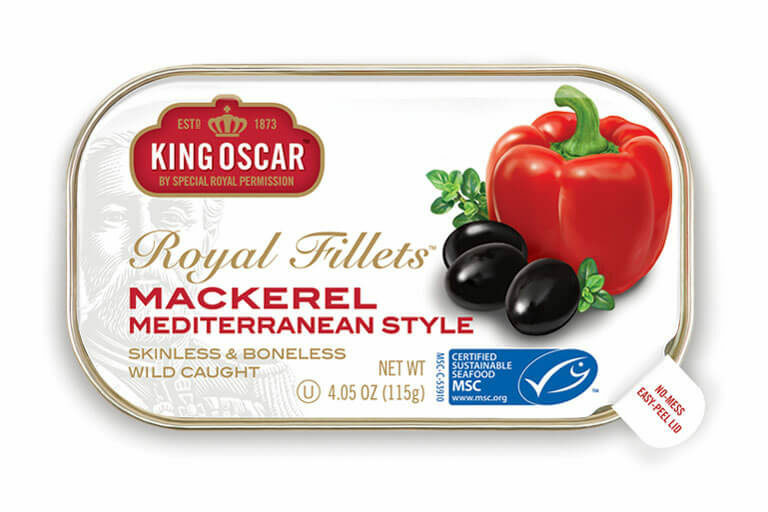 Try Royal Fillets of Mackerel Mediterranean Style! 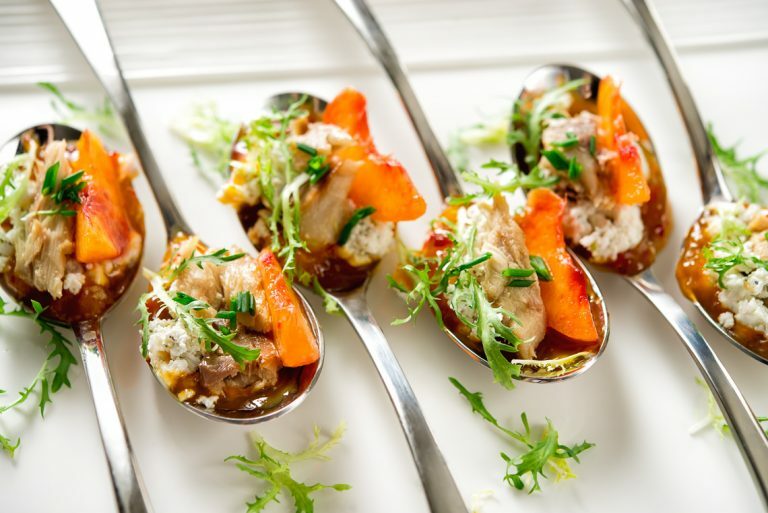 Gourmet quality skinless and boneless North Atlantic mackerel in pure olive oil with sliced olives, bell pepper, garlic, and herbs of Provence. Extraordinary, light taste and moist texture – truly unique. MSC-certified sustainable, wild-caught, non-GMO, gluten-free, kosher-certified, hand-packed. 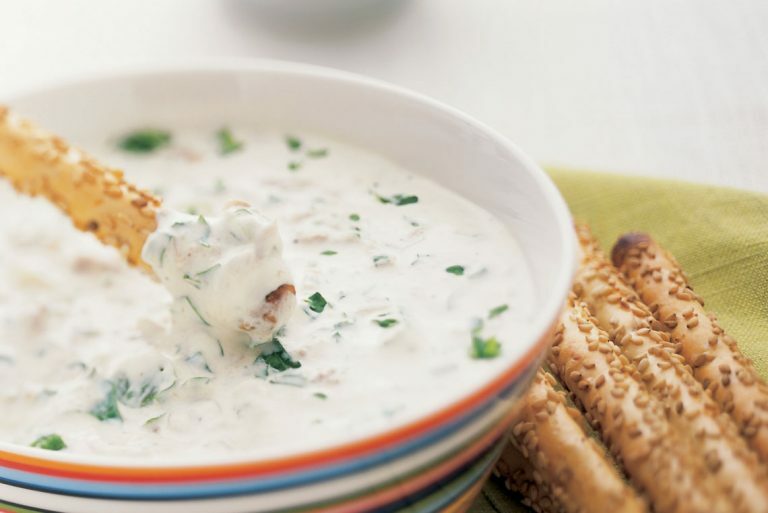 Delicious in sandwiches, salads, pasta or casserole dishes, fish patties, or right out of the can on a cracker! 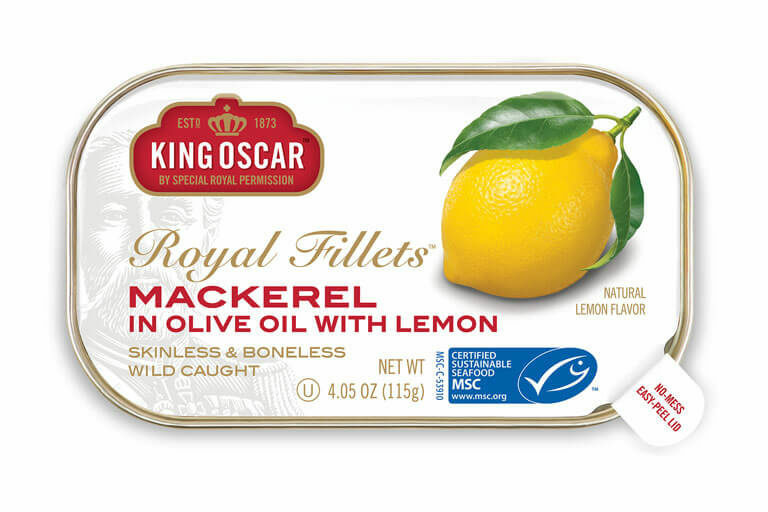 New Royal Fillets of Mackerel in Olive Oil with Lemon! 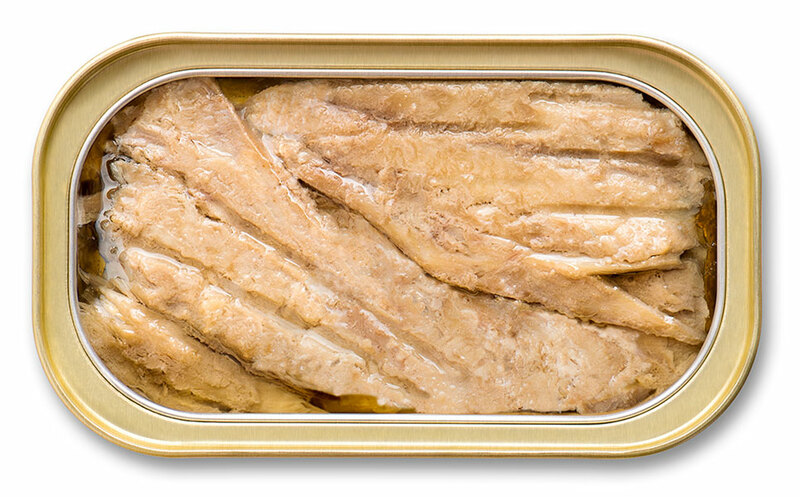 Gourmet quality skinless and boneless North Atlantic mackerel in pure olive oil infused with bright, clean, fresh lemon flavor. A classic seafood combination. Extraordinary, light taste and moist texture – truly unique. MSC-certified sustainable, wild-caught, non-GMO, gluten-free, kosher-certified, hand-packed. The perfect tuna substitute. Try in sandwiches, on top of a salad, or right out of the can on a cracker!